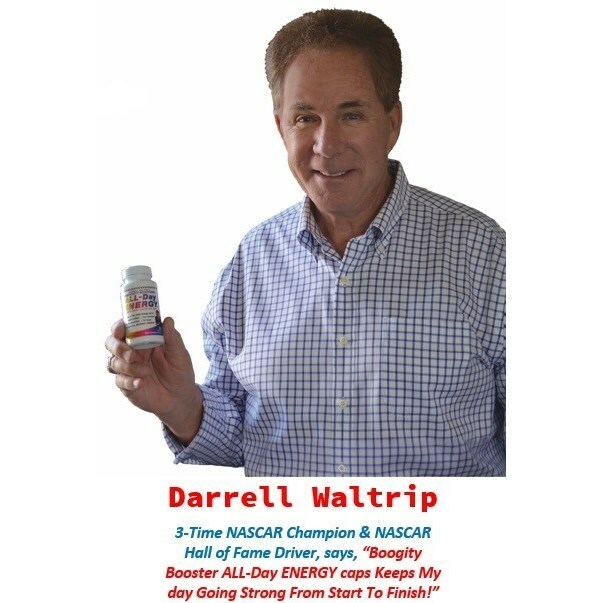 Darrell Waltrip introduces ALL-Day ENERGY caps packed with natural ingredients to boost your energy ALL-Day. Guarana, Ginseng, D-Ribose, and Yerba Mate all clinically proven to boost energy without jitters or a crash! 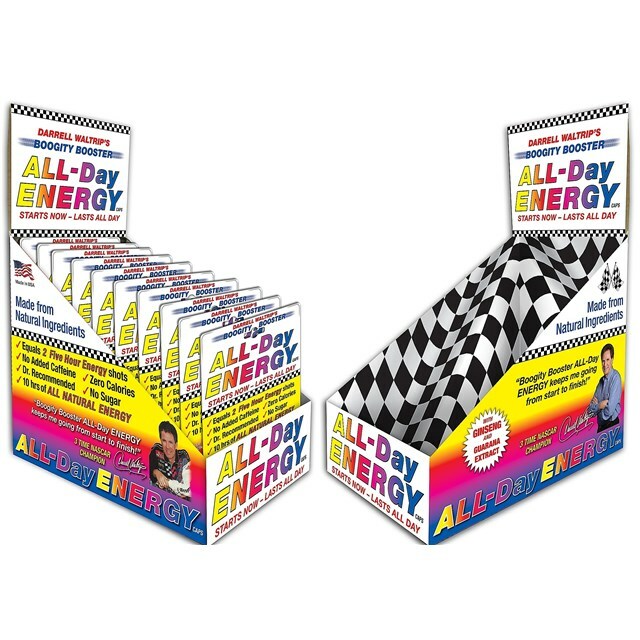 No sugar, ZERO calories, and Doctor formulated to naturally boost your energy for 10+ hours! 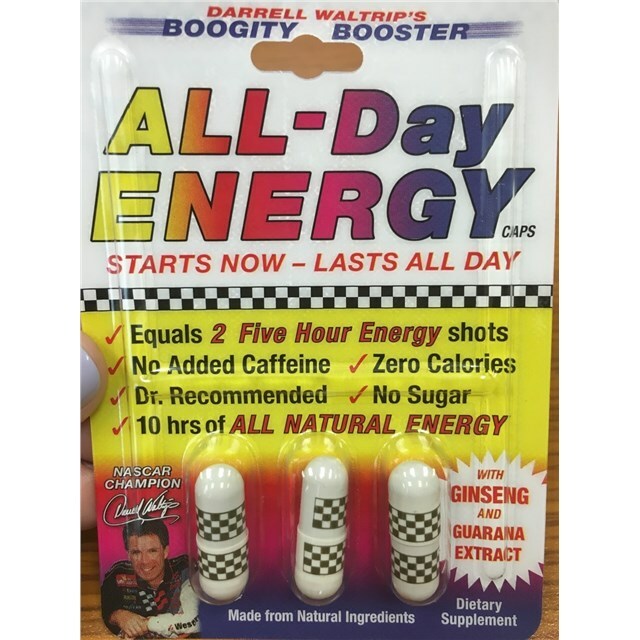 30 day supply of ALL-Day ENERGY caps is sure to keep you on track for a full day of activity.